NEW KitKat x Etude House Play Color Eyes Mini eye shadow kit | nomakenolife: The Best Korean and Japanese Beauty Box Straight from Tokyo to Your Door! 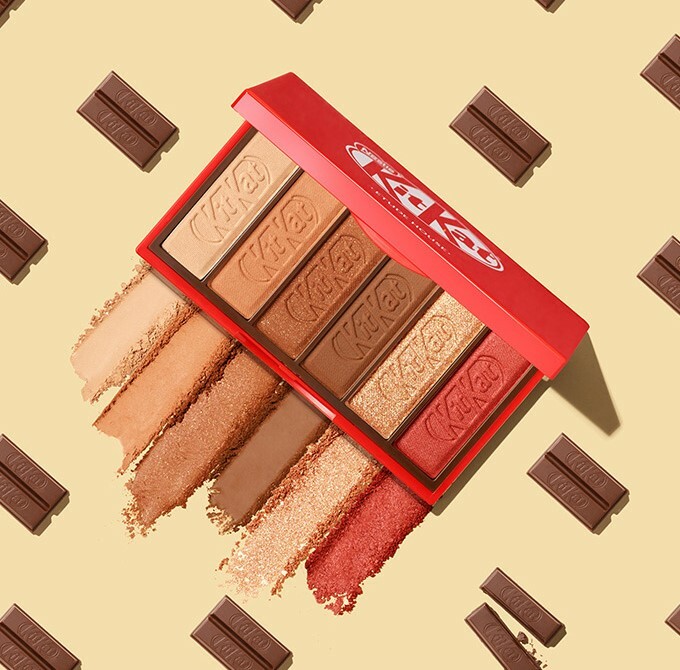 Korean makeup products are known for their funky packaging designs and while makeup products inspired by food are not uncommon anymore, this new mini eye shadow palette inspired by chocolate brand KitKat will surprise you! 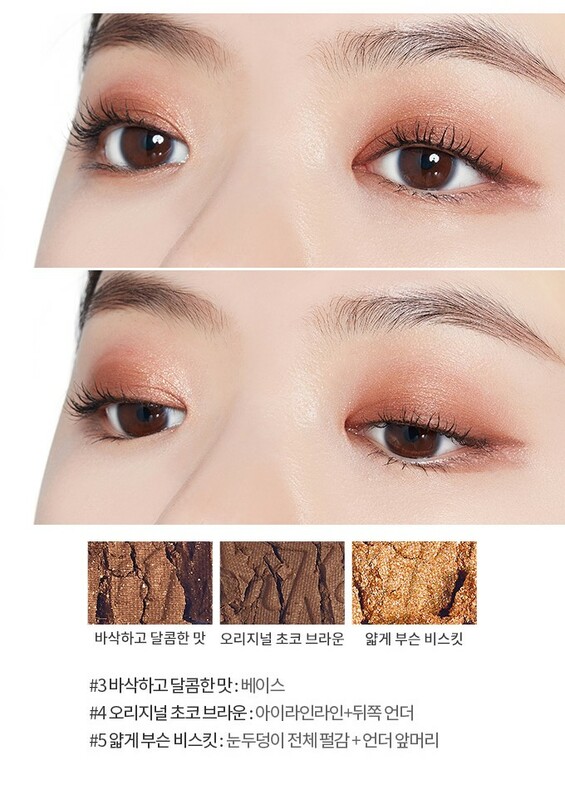 With Valentine's Day coming up we start craving chocolate more and more every day to the point that we want to wear it on our eyes, or that's probably what Korean brand Etude House thought when they created these 2 lovely mini eye shadow kits! 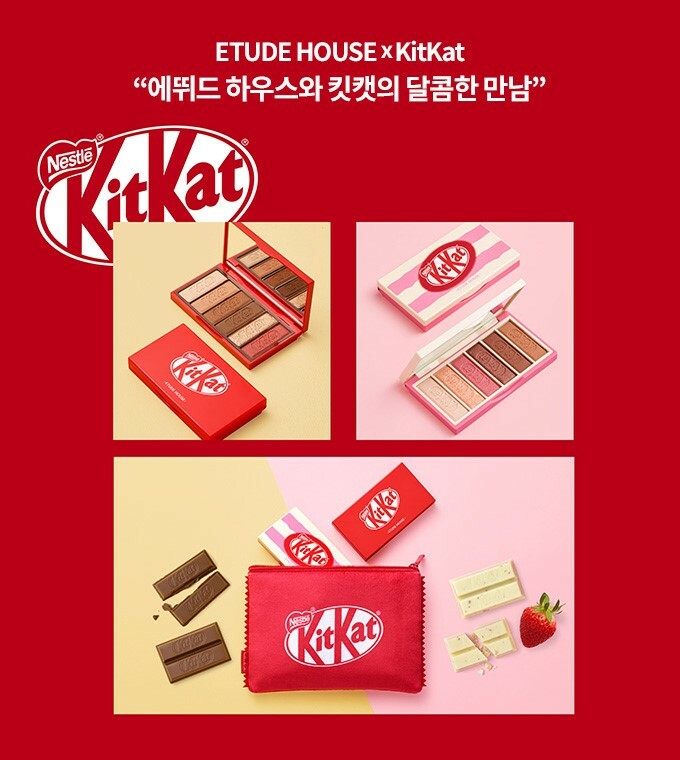 The Etude House x KitKat Play Color Eyes Mini Kit is available on the Korean Etude House webshop in a original milk chocolate and a white strawberry chocolate packaging each consisting of 6 chocolate sweet colors! They also come with a KitKat pouch to store them and go for about $18. 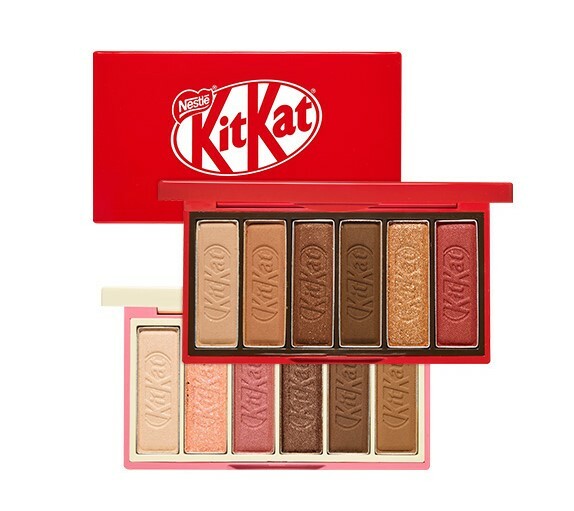 The Milk Chocolate eye shadow palette mostly comes in warm brown and golden colors and also has a brick red shade. This neutral palette is perfect for everyday if you're into warm colors! The size also makes it great for travelling. Here you can see what the colors look like when applied, the red one must be my favorite! I think these colors will blend well together. A eye shadow palette with warm browns is a must-have! 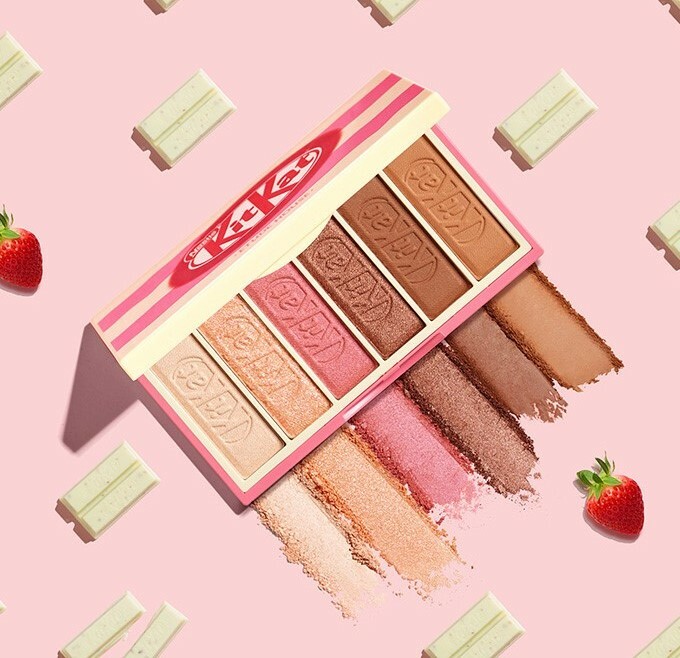 Next up is the White Strawberry Chocolate Palette, it comes with 3 pink shades and 3 brown shades. How pretty! Judging from these photos The pink shade and the shimmery brown shades are my favorites. When looking at how the colors look worn I wish they were a bit more vibrant, especially the first highlighter color is hardly visible on the skin. This eye shadow palette is perfect for girls who love pink yet natural eye shadow. All in all I think the Etude House x KitKat Play Color Eyes Mini Kits are super adorable and for that reason alone I'd like to have them! Color-wise they are perfect for Valentine's Day looks for those who like warm chocolate and pink colors! What do you think of these eye shadow palettes? Which one do you like most? Let us know in the comments below!! Pssht! Did you check out our latest blog posts? Get inspired by these 10 kawaii nail designs and check out this post about makeup primers!